Musical theatre fans rejoice! 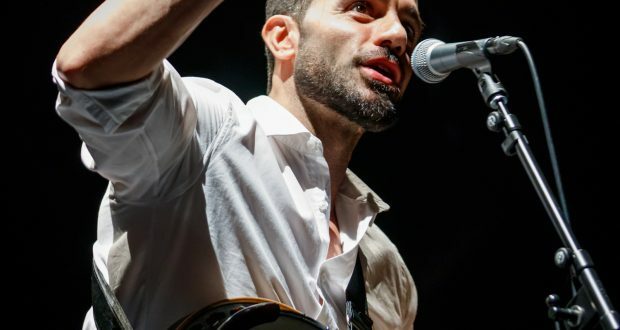 Ramin Karimloo is back with another UK tour! The West End and Broadway superstar put on a vocally-perfect performance at London’s Cadagon Hall on Tuesday January 14, delighting the audience with hits from world-renowned musicals including Les Miserables, Phantom of the Opera and Hamilton. The evening began with rapturous applause from the Canadian’s fan base and, due to the intimate setting, seemed the loudness of screams at an Ed Sheeran concert. Throughout his 17-year-long career, Karimloo has played many iconic roles such as Jean Valjean in Les Miserables, and the Phantom in both Phantom of the Opera and Love Never dies (sequel to Phantom of the Opera). In this sequel, he originated the role and won the Theatregoer’s Choice Award and Broadwayworld.com award for Best Actor in a musical. Having starred in these hit West End and Broadway shows, meant there was no doubt that Karimloo was going to wow us with classics such as Music of the Night and A Little Fall of Rain. Many times during the night, Karimloo made sure to put his own spin on well-known songs – a highlight was when he picked up his guitar and treated us to acoustic versions of Let it go from Disney’s Frozen and You’ll be back from Hamilton. Alongside his incredible voice, Karimloo’s sense of humour made for an enjoyable night. At one moment, he forgot the lyrics to Maybe it’s time from A Star is Born and so he just stopped playing, asked his band mate what the lyrics were and started again. Before we knew it, it was time for the last few songs – From Now On from the Greatest Showman was a massive crowd pleaser and Do You hear the People Sing? from Les Miserables led to an emotional crowd sing-a-long. All in all, it was an evening for all ages and musical theatre fans alike. It was hard not to fall in love with musicals all over again. Karimloo’s tour will run until January 31, ending in Southend-on-Sea where soon after he will be appearing in British soap Holby City as medical consultant Kian Madani.